6 September 1973 — Shatunov Yuriy was born in the village PyatkI in an ambulance on the way to the hospital of Kumertau (Bashkir ASSR). Parents: mother – Shatunova Vera (date of birth 28.01.1955 — date of death 07.11.1984), father — Shatunov Vasilij. The first years of his life until 4 years,Yuriy spent and raised by his grandmother Shatunova Ekaterina (date of birth 05.12.1924 — date of death 26.11.2002) and grandfather Shatunov Gavril (date of birth 04.06.1923 — date of death 20.01.1976) in the village PyatkI (suburb of Kumertau). In 1977 — Yuriy and his mother moved to the village Savelevka. 1 September 1980 — Yuriy Shatunov goes in the first grade in the village Staraya Otrada. Summer 1982 — The first public appearance of the young Yuriy Shatunov — at a wedding in the village Savelevka. He performes on a harmonica. 1 September 1984 — Mother of Yuriy Shatunov with a worsening disease, moves Yuriy to a boarding school in Kumertau. 7 November 1984 — In the district hospital of Kumertau during examination before the operation to the heart the mother of Yuriy Shatunov dies. 9 November 1984 — Vera Shatunov was buried in the cemetery of the Village Saveleevka. From November 1984 to October 1985 Yuriy Shatunov indulges in running and starts to wander in Bashkortostan and Orenburg. November 1985 — In Orenburg in the regional district a hearing was held, where it was decided The fate of Yuriy Shatunov to study and residence there. Yuriy saw Tazikenova Valentina, director of Children’s Home town Akbulak (Orenburg region). She decides to take the boy with her, to start preparing him for the orphanage of Akbulak. On arrival at the orphanage, Yuriy meets Biksitov Akan — ice hockey coach at an orphanage. Shatunov enjoys hockey and is actively engaged in the sport. It take to play in the squad left striker. 4 October 1986 — Tazikenova Valentina is transferred to a boarding school No. 2 in Orenburg and appointed to be the director. 10 November 1986 — Shatunov escapes from the orphanage of Akbulak to the boarding school No. 2 of Orenburg to Tazikenova Valentina. At the boarding school he meets Kuznetsov Sergey who was the head of amateur performances. Yuriy begins to engage in vocal lessons with him and makes his first tentative vocal recording songs of Sergey Kuznetsov. 6 December 1986 — Shatunov and Kuznetsov decided on the name for the band as «Laskoviy May» as a line from the song «Summer». 30 December 1986 — The first show by Yuriy Shatunov at the hall of boarding school No. 2. Yuriy sang songs of Sergey Kuznetsov «Cold Winter Evening», «Let Night Be», «I’m frank», «Summer», «Well, What Do You…», «Melting Snow». 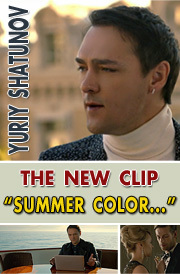 During this year most popular hits of Yuriy Shatunov wore recorded. The songs as «White Roses», «The Gray-Haired Night» and others. 18 February 1988 — Sergey Kuznetsov sells recording of the first album by Yuriy Shatunov for 30 rubles in a recording booth located at the railway station of Orenburg. 3 September 1988 — Shatunov finds out that Sergey Kuznetsov is going to leave for Moscow. He decides to go along with him. Late at night he runs away from the orphanage and with Kuznetsov gets on a train to Moscow. 5 September 1988 – Yuriy Shatunov gets to Moscow at the Kazansky Railway Station, where he meets Andrew Razin. They go from the station to the Ministry of Education to the Deputy Minister, who would urgently solve the problem of moving Shatunov to orphanage-school No. 24 of Moscow. 6 September 1988 — Met and began working with Kudryashov Arkadiy. 10 September 1988 — Yuriy Shatunov begins to rewrite his first album «White Roses» in the studio «Record» in Moscow. 20 September 1988 – The start of the large tour of Yuriy Shatunov in a band «Laskoviy May» around in Cities of the Soviet Union. October 1988 — The release of the updated album «White Roses», recorded in Moscow. 18 November 1988 — The first great publication of Yuriy Shatunov and band «Laskoviy May» in the newspaper «Komsomolskaya Pravda», the article was titled «Yurkin’s tour». 8 January 1989 — On central television show «Morning Mail» aired a video clip «White Rose». March 1989 — Sergey Kuznetsov leave the band «Laskoviy May», and with his departure, the band no longer exists in the original composition. April 1989 — Creation a studios «Laskoviy May» under the guidance of Andrew Razin. Spring 1989 — The release of new album by Yuriy Shatunov — «Pink Evening». 1 May 1990 – In St Vladimir Cathedral in Kiev, Yuriy Shatunov’s baptism took place. Arkadiy Kudryashov became the godfather. 19 June 1990 — Yuriy Shatunov graduated from high school boarding school No. 24 of Moscow and received a Certificate. June 1991 – Was hosted a large tour in cities of United States. October 1991 — Shatunov leaves the studio «Laskoviy May» and begins his solo career with Arkadiy Kudryashov. December 1992 — Yuriy Shatunov takes part in a show «Christmas Meetings» with Alla Pugacheva and with the Song «Starlight Night». 29 September 1993 -The entrance to home of Yuriy Shatunov, his best friend out of the band «Laskoviy May» Michael Sukhomlinov (keyboardist) was shot. September 1994 — Presentation and release of the new album «Do You Remember». Autumn 1996 — Yuriy Shatunov begins a tour by the cities of Germany. In 1997 — In Germany Yuriy Shatunov starting to learn how to sound engineer. December 1999 — New Year Celebration, new Millennium in the resorts of Thailand. December 2000 — Yuriy Shatunov meets in Germany with his future wife Svetlana Shatunova. In 2001 — Released the album «Remember the May», which had a major hit song «Forget». The clip was filmed on it and it was shown on many music channels.The song has been in constant rotation on the radio. In 2002 — Released the album «The Gray-Haired Night», which, despite its name from the 80′s, the album encouraged by new songs: «The Leaves Are Falling» and the remix of fresh «The Gray-Haired Night». And followed by several video clips that do not stop playing on MTV and MUZ-TV. In 2003 — Released the album «The Leaves are Falling». This album is a re-issue of the other two albums — «Remember the May» and «The Gray-Haired Night». It included 2 songs «I don’t Like This Park» and «The Leaves are Falling». In 2004 — Released the album «If You Want, Don’t Be Afraid». In addition to the six traditional remix stellar hits of «Laskoviy May», it also included six brand new songs. Summer 2006 — Released the album «Record My Voice». August 2006 — Yuriy Shatunov meets with his mother-in-law — Ekaterina (Svetlana’s mother). 5 September 2006 – The birth of his son Dennis Shatunov in Germany. 12 January 2007 – Wedding of Svetlana and Yuriy Shatunov in Munich (Germany). 8 September 2007 – Baptism of Shatunov Dennis in the temple Andrew Pervozvanny in Sochi. The godfather was Andrew Razin, and godmother is the older sister of Svetlana — Galina. In 2009 — Was filmed and released in a movie rental the film «Laskoviy May». In 2010 — Yuriy Shatunov participated in the filming of a television series «Happy Together». 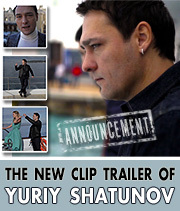 23 June 2012 — creation of the official website shatunov.com and the official pages in the social networks. 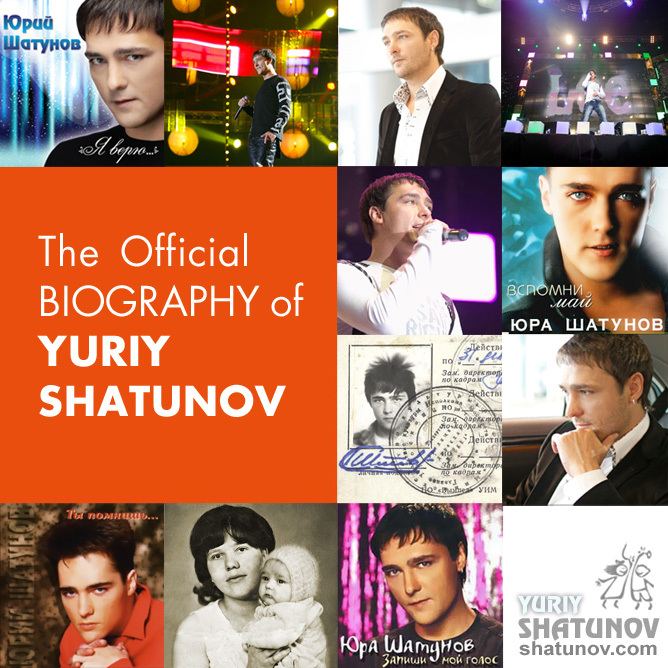 29 June 2012 – The release of the new long-awaited album by Yuriy Shatunov «I Believe». 1 September 2012 — The son of Yuriy Shatunov Dennis goes to school in Germany to the first grade. November 2012 — Shooting of the video clip for the song «Summer Color» in Monaco. 13 March 2013 – The birth of the daughter Estella Shatunova in Bad- Homburg of Germany.